For some time now I’ve been toying with the idea of doing write-ups on classics from American and British cinema (time frame: anywhere between the 1920s and the 1960s). I greedily watched many hundreds of those films as a teenager, they were the first steps in my movie education, and lately I’ve been rediscovering some of them on DVD. Don’t know whether the idea is sustainable but there’s a chance I’ll soon be working on a column featuring snippets/DVD reviews of old movies, and this could be good practice. Thought I’d start with Sidney Lumet’s Twelve Angry Men, which I watched again recently. This was one of the tightest, sparest movies to be made by a major American studio (MGM) in the 1950s, and this is partly suggested by the simplicity of its mise en scene: 12 jurors sitting in a small room over the course of a long, hot afternoon, debating whether or not to convict a young man who has been accused of killing his father. This description probably doesn’t make the film sound very exciting, especially when you understand that it isn’t a murder mystery (I’m not giving anything away by disclosing that we never find out if the accused is guilty). 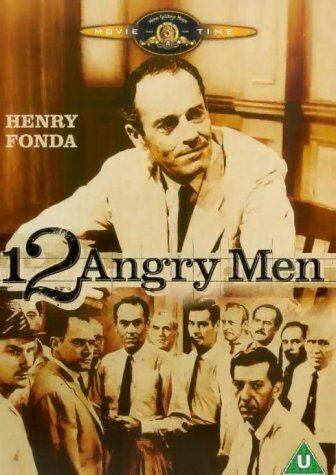 But despite not being a conventional thriller or a suspense movie, despite not even being cinematic in any obvious, flashy way, Twelve Angry Men is the definition of an edge-of-your-seat film. It gets its power from the taut exchanges between 12 ordinary men – each with his own set of biases, prejudices and life experiences – who have been placed in an extraordinary situation. If they all vote Guilty, the defendant gets the death sentence. If they vote Not Guilty, he goes free. (The verdict must be 12-0 either way, otherwise the case will have to be re-tried.) Initially, everyone seems to think it’s an open-and-shut case. A poll is taken and there is only one verdict of “Not Guilty” – it comes from juror number 8 (we don't learn the men’s names), played by Henry Fonda. The others immediately start browbeating him. Fonda, who also produced the film, fits this role perfectly. He was the least starry of Hollywood’s major leading men, the one with the most nondescript screen persona; he was better than any of his contemporaries at melting into the background, at not overwhelming a film with his presence. And though he gave a number of outstanding performances playing men of integrity and forthrightness (young Abe Lincoln, Wyatt Earp, Tom Joad and Clarence Darrow among others), there was always an element of hesitance, introspection; he played reluctant heroes, not supermen. Likewise, Juror 8 isn’t a hero with some special insight or moral superiority that the others lack. He calls “Not Guilty” not because he’s convinced that the defendant is innocent but because he thinks there is a reasonable doubt, and that they must at least discuss the case at length before pronouncing a verdict that will send a young boy to his death. There is more than one scene in this film where he seems a little unsure of his case. Fonda’s role does of course stand out by its very nature, but if you were a little green man watching this film with no information about the actors, you wouldn’t know he was the “star” – most of the players have equal screen time. The cast comprises some of the finest American character actors of the era, including E G Marshall, Jack Warden, Martin Balsam, Joseph Sweeney and best of all, Lee J Cobb and Ed Begley, superb as the two most obstreperous of the jurors (Cobb’s loudmouthed character is the least likable of the Guilty-sayers, but by the end of the film we see him in a different light – a reminder that this is not a movie about heroes and villains). Not everyone in the cast is a Method actor (Fonda least of all) but the nature of the acting – especially the edginess and the improvisation – is what you’d expect from one of Lee Strasberg’s workshops. Lumet (an underappreciated director who had a very impressive filmography), scriptwriter Reginald Rose and the actors pack an incredible amount of tension into this simple story. The thinking of the jurors, their attitude to the case, is determined by a number of things, including deep-rooted racism (the defendant belongs to an unspecified ethnic minority). But trivial factors are also at play (it’s muggy, some of them are sweating profusely and tempers are running high; there are ego clashes over tangential issues; one juror wants to be free in time to attend an important baseball game, another needs to get back to work; one has a nasty summer cold and is irritable). This is, of course, exactly as it would be with any of us when we are taking important decisions. But as the film progresses and the jurors start to reexamine all the evidence – to the point where they are practically trying the case all over again – we see them questioning their pre-conceptions and overcoming the little irritations; we sense that they are evolving as people, becoming worthy of this great responsibility that has been placed upon them. 12 Angry Men is about the nature of democracy, about the importance of debate (it’s only when the men get around to discussing the case in detail that they see little holes in the prosecution’s case) and about human fallibility. It’s about a group of people who, with all their failings, have temporarily been asked to play God, and who must now deal with this bizarre situation – by casting a long, hard look at themselves, setting aside their prejudices and relying on reason. What happens in this jury room is a microcosm for how any decision should be taken by people who are in a position of authority. But it’s also, of course, about the power of the common man. At the end of the film, the Fonda character runs into one of the other jurors, an old man, outside the courthouse. They’ve just participated in an intense debate involving life and death, they’ve been quarries and allies in turn. But now they simply exchange names, shake hands awkwardly and part ways. The job is done; now they can go back to being anonymous faces in the crowd. Lovely post. I've seen the Hindi version of the movie 'Ek ruka hua faisla' - quite liked that. Need to catch this now!! Beautiful review Jai. Would be looking forward to more of these as I am personally too lazy to spend 3 hours on a movie which I am not sure is good or bad. I too have seen the hindi version, ek ruka hua faisla as mentioned by nandu above. Was a good movie and I know it was screened at IIMB for displaying the skills of leadership which comes via conviction. Nice review. Keep them coming, just so that we can keep them reading. i watched 12 Angry Men a couple of years back. i remember marvelling at how tense a film it was given the setting and like you said, clearly non-whodunit and non-thriller approach. the mobile camerawork and the careful blocking created a lot of the tension. i particularly loved the last scene where the old man and fonda shake hands. Hi Jabberwock, I too watched "ek ruka hua faisala"... tht was a cool movie though the movie seemed too faithful and applied the juror system to India, where it does not exist. As such, the movie seemed like a Character study exercise what with character traits of everyone coming out gradually as the movie progressed. Very gripping movie. Pankaj Kapoor especially rocked in the Hindi version. Request you to watch the Hindi version and compare the two. P.S. : Last time I saw, the movie was in the top 10 in the IMDB list. There's a hilarious reference to this in "The Wee Free Men" by Pratchett. I totally disagree with you. Fonda seems to deliberately provoke the others by offering the fail-safe argument "it's possible", having nothing concrete to say. But it turns out there is a watertight hole in the prosecution's case after all (how can a movie conclude satisfactorily without it?). It's incredible that those people didn't see that "hole" earlier, given the mountain of evidence that piles up to show that the defendant cannot be pronounced guilty. (i) Provoked guy: I will kill you. Fonda: You don't really mean you will kill me, do you? (ii) Old guy (OG): What're you doing? OG: What are you doing with your nose? OG: Why are you rubbing your nose? OG: So spectacles can cause people to scratch their nose. (iii) The demonstration of the fact that the old man couldn't have been on time to see the boy leaving. The movie is an assault on the intelligence of the large proportion of people who can see all these details coming. Really enjoying your reviews on old classics - keep going. '12 Angry Men' is among my favorite films - its amazing how Lumet managed to keep the audience at the edge of the seat with little conventional cinematic action. Roger Ebert's review of the film provides some interesting trivia on the technical aspects of the film - particularly how Lumet heightens the tension in the film by inducing a sense of claustrophobia using different lens and camera angles. A similar film I enjoyed was David Mamet's 'Glengarry Glen Ross' which boasts an incredible ensemble cast of Jack Lemmon, Al Pacino, Ed Harris, Alan Arkin, Kevin Spacey and more - all confined for much of the movie within a real estate office and a restuarant on either side of a seedy street. Combine this acting prowess with the crisp, penetrating dialogues of David Mamet - and the result is pure cinematic pleasure. Mack: Fonda's weak "it's possible" is exactly the point - he doesn't have anything concrete to say at the start, apart from an instinct that they owe the boy a discussion before they condemn him. One gets the feeling early on that he might quite readily accept the others' viewpoint and change his verdict to "Guilty". But the discussion slowly brings out nuances in the case that had earlier been lost because of prejudices and personal feelings. Your criticism is based on little scenes and details that don't detract from the overall merits of the film, in my opinion. The details of the murder case are Mcguffins anyway, they aren't vital to the larger points being made here. I can come up with 10 powerful scenes and vignettes for each of the unsatisfying ones that you mention (though of course it's your prerogative not to think highly of those either). I agree the spectacle revelation was silly; a case of making too much about too little. And Fonda getting himself timed as he imitates the old man's shuffling steps wasn't my favourite scene either. But I didn't have a big problem with the "You don't really mean you will kill me, do you?" scene. Sure, it was a bit smug and, how to put this, Hollywoodish - but I think if we're going to nitpick in that way and turn this sort of thing into a Fatal Flaw, we'll end up rejecting 95 per cent of all the mainstream feature films ever made. Like the sage said, it isn't a bad thing for a film to be a little filmie, y'know? bongopondit: good observation about Glengarry Glen Ross. Incidentally, Jack Lemmon played the Fonda role in the 1997 TV remake of 12 Angry Men - which I haven't seen. Yes, I read about the technical stuff in Lumet's book. Jai: Nice. I first watched Twelve Angry Men on campus - it was a course requirement. And you can see why - it's a fascinating study of practically every influence tactic in the book and group dynamics in general. I have to say though that I thought the first half was much better than the second half. I liked Fonda while he was doing his honest citizen insisting on reasonable doubt act (he does that amazingly well) but then at some point he goes into Perry Mason mode and after that I found the whole thing predictable and cliched - all those corny a-ha moments. You have to wonder though, how much of that is because we're watching it so many decades later. I mean all the time he was doing his not wearing spectacles act, all I could think of was My Cousin Vinny. Very good review, made all the better by Mack Helsinki's note of dissent. Incidentally, Jack Lemmon played the Fonda role in the 1997 TV remake of 12 Angry Men - which I haven't seen. I haven't yet seen the original, but I did catch the 1997 Jack Lemmon version on TV. I thought it was quite well made. It reminded me, inevitably, of the 1999 Inherit the Wind remake. I watched this film when I was on campus and immediately felt that this should be the ideal film to be shown to b-school students. Near perfect demonstration of group dynamics. Off topic - care to join this? n nice blog as well..
As always,very interesting and informative post particularly for a person like me who has not seen the movie. And I welcome your idea of starting regular write-up on classics, will look forward to it. Thanks for the tips on 'Pallika Bazaar' shall check it out the next time I'm in Delhi. 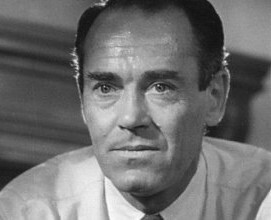 I've seen "12 Angry Men" and it is one of Henry Fonda's finest performances. Speaking of reviewing Hollywoods best dating back to the 60's and 70's have you seen 'Inherit the Wind' by Stanley Kramer? the film portrays, in partly fictionalized form, the famous and dramatic courtroom "Monkey Trial" battle between two famous lawyers (Clarence Darrow and William Jennings Bryan) who volunteered to heatedly argue both sides of the case (over 12 days, including two weekends). Its story centers around the issue of evolution vs. creationism, in the prosecution of 24 year-old Dayton High School mathematics teacher and sports coach - and substitute science teacher - John T. Scopes for violating state law. It has one of the most eloquent performances by Kirk Douglas. have you watched an hindi movie with similar story line" ek rukha hua fiasla"
Priya: the Stanley Kramer Inherit the Wind (made in 1960) had Fredric March and Spencer Tracy (two titans of American screen acting) in the lead roles. The Kirk Douglas one was a TV version made much later, in 1988.
lovely review, havent watched both the English or the Hindi version but yes i am definetly looking out for this flick in my nearest Cinema Paradiso. How co-incidental, how very co-incidental that I've been closely involved with an attempt to bring this back to the stage for about the last one month. Yes, love both the hindi as well the english version, and could not have described the film more poignantly than you have. Caught this post a bit late i guess. Recently, this particular movie was shown as part of the training programme for 'leadership'. Though the perspective with which the movie was watched and discussed was different. No. 8 was shown as the epitome of a good leader and we were made to analyse all the characters and discuss the strengths of No.8. :-) That session turned out to be the most useful and interesting training sessions in the past 7 years, i guess. It was good to read the review of '12 angry men', as a movie by itself. the lumet book you referred to, if its 'making movies' its one of the best intros to the technical aspects of film making. I have only been able to see the newer (1990s) Hollywood version of the film, and it in itself was powerful. Would love to see the Fonda version, since anyway I love the Hollywood classics, but not too easy to find old classics in India. Anyway, really, really surprised on hearing this whole lot of praise about Ek Ruka Hua Faisla. Even without comparing against the original, the Hindi film is a completely third-grade film - there's no tautness, Pankaj Kapoor with his pan-spitting mannerisms looks more of a Hyde to me than the juror 8, and although the makers have made a frame-by-frame copy the cast itself as a whole is so uncomfortable with each other, so nervous, and so badly act above all, that the film collapses to the ground immediately you start watching it. Was myself planning to review some of the old classics on my review site (http://indmoviereview.blogspot.com), and now Jai has given me some fillip towards it. Especially some of my favourites from the 1940 and the 1950s. This one's one of my all time favs (although I saw the Jack Lemmon version first)...was a pleasure reading ur review of it. Absolutely, one of my all time favourite movies from when i first saw it in the sixties. I had quite forgotten about it until I saw your fine review here. And, how pertinent are its messages to our current times: we mightn't have had the current international banking crisis had Bank Boards and Financial Regulatory authorities had a few Juror No. 8's (Henry Fonda)in their midst. A timeless classic.